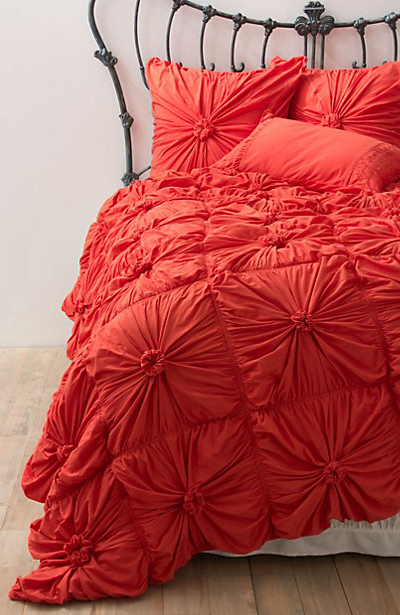 The beautiful bright red Rosette Quilt is a romantic addition to any bedroom. Inspired by a vintage petticoat and crafted of cotton jersey, hand-pleated squares create a petal-fresh respite. $58-$288. Buy here.